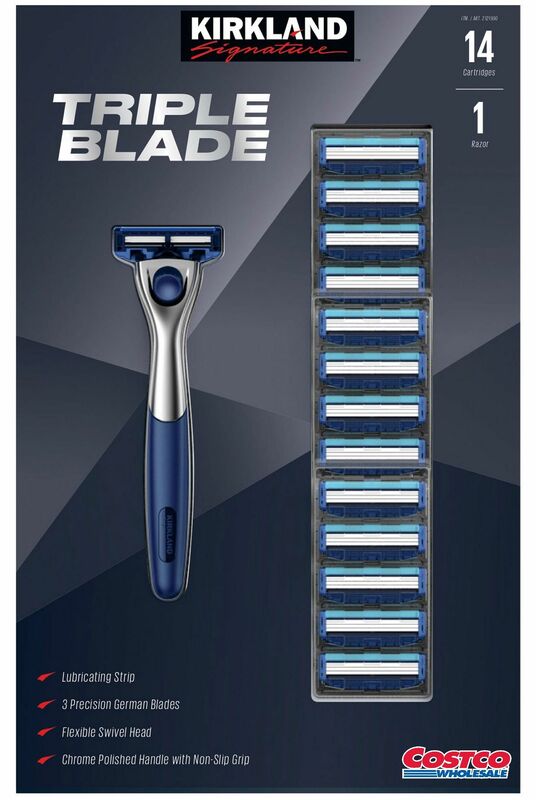 If you are a user of the Gillette Mach3 Razor Blades ($25 for 15 blades) you might want to check out Costco’s private branded Kirkland 3-blade razors ($20 for 14 blades and a handle). Worth a shot anyways. The Kirkland Signature Triple Blade Razors come with a lubricating strip, 3 precision German blades, a flexible swivel head, and a chrome polished handle with non-slip grip.